Greetings Everyone. I am Elisha Crawshaw, a Major in the New Zealand Cadet Forces and the Unit Commander of Western Bay of Plenty Cadet Unit. I have one mission when it comes to running my cadet unit – To train the youth of tomorrow to be better leaders for the community, by providing them with a purpose, core values, safe disciplined army military and non-military training and giving them opportunities that other organisations cannot provide. I came up through cadets looking at the officers that gave up their time and effort into making others and myself the people who we are today. Youth are the future of tomorrow and I believe we need to look after our future just like someone looked after me. If there is one statement that summarizes my vision for this unit, it is “Train the youth of today to be better leaders for tomorrow.” It epitomizes my vision for our unit and each individual cadet and officer in one simple sentence. 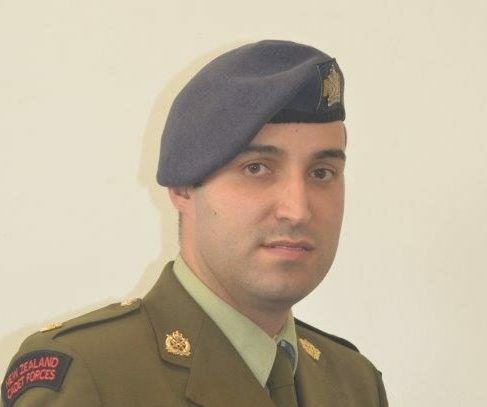 By joining the New Zealand Cadet Forces I have learnt how to lead others more effectively and had the opportunity to learn skills such as people skills that I would have not learnt from a play-station or xbox. I would have never considered going overseas and meeting new people and experiencing the different cultures. Being an officer of the Western Bay of Plenty Cadet Unit is both a privilege and an honour. To be the Unit Commander is an even greater honour that is bestowed on me. To be an effective unit commander I believe there is one attribute that is non-negotiable which is “integrity”. It is one attribute I believe that we should not tolerate breaches of. I will accept an honest mistake and take the heat rather than have you violate my principles. I try to be absolutely honest and truthful at all times and stand up for what I believe is to be right. Being part of the New Zealand Cadet Forces for me is like being part of another family. I have learnt to respect it’s customs and traditions and be to bound by it. Most families are set in their ways of doing things and I believe you should be loyal to your family because they rely on you just as you rely on them. Loyalty – must be both horizontal and vertical in any family or organization. I endeavour to support the decisions of my superiors, including Duty of Care, the Cadet Forces Code of Conduct, the NZCF Policy and Administration Manual and other guidelines. Given the opportunity, I will strongly represent the Units position and where it benefits the Cadets. However when the final decision is made, I will enthusiastically respect, support and honour it despite my personal feelings. Being the unit commander I believe I should have the utmost high standards in whatever I do. It is my responsibility to ensure that the unit succeeds in accordance with the New Zealand Cadet Force’s mission. 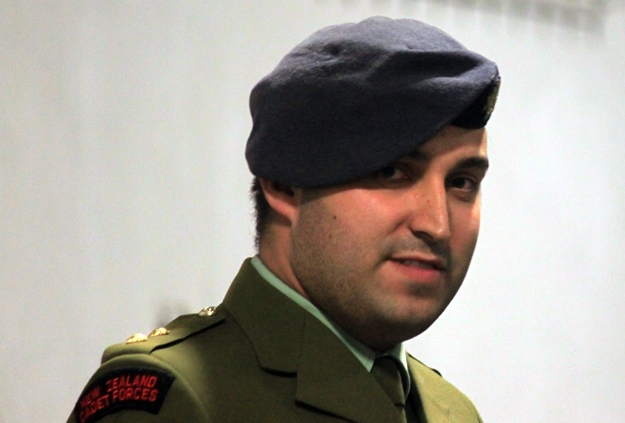 I look at myself as an ambassador to New Zealand Cadet Forces and to our local Community. Our citizens judge the New Zealand Cadet Forces and the New Zealand Army on how they see me wear my uniform and how I behave. Veterans have laid down their lives for you and me to make this a safer community and so that we may enjoy the freedoms that we have today. I see myself to be responsible as a leader in the finest youth organization in the country. New Zealand Cadet Forces have rich traditions and history. I hope to add the next chapters to that history for both you and the future New Zealanders. I will strive to live up to the many fine examples of leadership demonstrated countless times by members of the New Zealand Cadet Forces, New Zealand Defence Force, Veterans of the New Zealand Defence Force and our Community. In conclusion I am also not one to hide behind the desk. I will not expect you to do the things I wouldn’t be prepared to do myself. I will endeavour to lead by example and train you to the best of my ability. My door is always open to anyone who wants to come and talk to me.